We have sourced the best quality boxing gloves and bags that we could find to bring you. We are constantly sourcing new and innovative products. 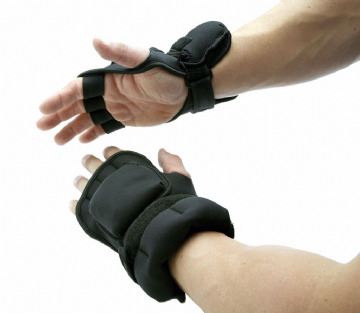 Vyomax® hook & jab pads are manufactured from carbon PU material with dual layers of shock absorbent foam system at the wrist area & triple layers of shock absorbent foam system at palm area. Training with focus pads will help to improve hand-eye co-ordination, balance & timing. 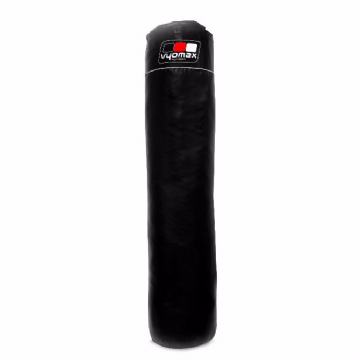 This bag is ideal for extreme upper cut and lateral punches and practising your kicking techniques. This bag comes pre-filled and ready to use. Supplied with 6 webbing straps. Vyomax® double upper cut bag is ideal for practising your variable kicking techniques. High quality, heavy duty PU with Vyomax® logo at the top. 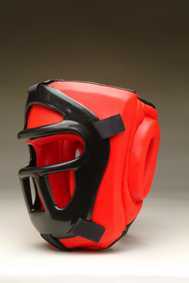 Vyomax® curved shield for various sports training techniques offers a generous kicking target for the student and secure handling for the coach. 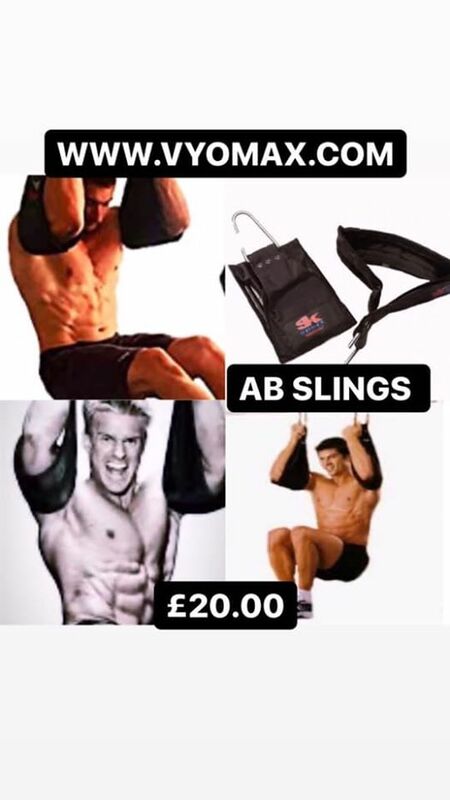 Pair of Ab Slings complete with hooks. Perfect for those crucial crunches, leg raises abdominal twists and other raised abdominal work. Skipping is an excellent way to increase your cardio vascular fitness, boost endurance, develop stamina and burn calories. It helps improve co-ordination, body tone, balance, agility and speed and is perfect for a total body workout. A pair of one size, fingerless, weighted gloves to add extra resistance to cardiovascular workouts and help improve muscle tone. The weights are fixed at the back of the glove providing increased comfort when training at a high intensity.